Between the holiday music, decorations and crowds of last minute shoppers, December feels like anything but tax season. Technically, it's not — but it is a great time to make some last minute moves to pare your 2015 tax bill. "Time is running short, but there are always things you can do right up until December 31," said Mark Steber, chief tax officer for Jackson Hewitt. Luckily for taxpayers, the spending bill signed into law by President Barack Obama on Friday locks in a number of key tax breaks that were set to diminish or expire. The Joint Committee on Taxation projected a $622 billion budget effect over 10 years, and "those are dollar-for-dollar tax savings for individuals," Steber said. But there are dozens of provisions in the new legislation, so taxpayers need to get their records in order so they can claim what applies to them. Take the deduction for sales taxes, for example. Temporary regulations were allowing taxpayers to deduct the sales taxes they have paid or their state and local taxes, whichever is higher, but it was only being authorized year to year. The new spending bill makes that option permanent, and it stands to benefit people living in states with sales taxes but no income taxes, including Alaska, Florida, Nevada, South Dakota, Texas, Washington and Wyoming. Then there is the qualified charitable distribution. People over age 70½ are required to take a minimum distribution from their IRA, but in the past they were allowed to simply give up to $100,000 of it to a charity and avoid having it count as income. That provision had repeatedly expired and been renewed, but the new legislation made it permanent. "A lot of people have been waiting to see if they can take advantage of that," said Alison Flores, a principal at The Tax Institute at H&R Block. Teachers can also benefit from the spending bill. They used to watch every year to see if a provision allowing them to deduct up to $250 for classroom supplies would be extended, and it has now been made permanent. It will also be indexed to inflation starting in 2016. "You have probably already paid those expenses if you are a teacher," Flores said. "Start going through your records." Key provisions may also help parents. For example, the child tax credit, which has long been calculated at 15 percent of earned income above $3,000, was on track to be calculated on earned income above $10,000 as of 2017. The $3,000 threshold was made permanent in the spending bill. The bill also made permanent the American Opportunity Tax Credit, which gives people with incomes below a set threshold ($160,000 to $180,000 for joint filers and $80,000 to $90,000 for single filers) a tax credit up to $2,500 for qualified educational expenses. Another provision, the tuition tax deduction, has been extended for two years. But taxpayers need to pay attention to more than the new legislation, Steber said. This is a great year to follow tried-and-true tax advice, like paying education and business expenses early and making charitable donations. Don't forget to consider noncash donations, he added, like gifts to charities of clothing or appreciated securities. This is also a good time to review your portfolio and consider harvesting some of your losses so you can offset realized gains. Steber also advised making sure as soon as possible that your health insurance for 2016 is squared away. "You have to have insurance by January 1 or run the risk of these new ACA penalties," he said, referring to the Affordable Care Act. For 2016, people forgoing insurance will owe $695 per adult in penalties and half that for each child or 2.5 percent of their income, whichever is higher. If they were not enrolled for 2015, they will owe the higher of $325 per adult or 2 percent of their income. It can take insurance companies several days to get new enrollees set up, so if you are not insured, now is the time to assess your situation, he said. This is a challenging time of year to find time to step back and review your financial situation but it can really pay off, Steber said. Think of end-of-year tax planning as a way to bring money in, he said. 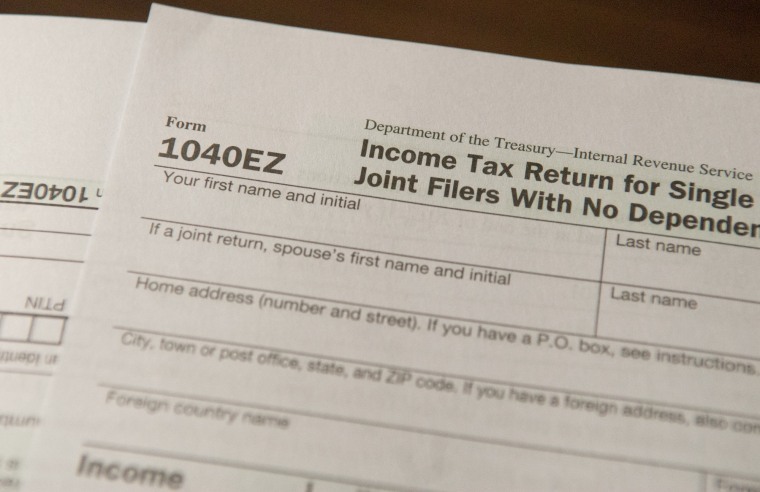 Some 75 percent of taxpayers receive a refund every year, and "I find that a big refund is a much better, more appealing idea than coordination of next year's plan." Kelley Holland is a CNBC contributor and longtime business journalist who has covered everything from municipal bonds to management, major banks and MBA programs. She created and wrote a monthly management column, "Under New Management," for The New York Times. Prior to writing her column, she was a business editor for The Times with responsibility for weekend business news and more. Earlier, she was an editor at Business Week, where one of her cover stories helped the magazine win a National Magazine Award for general excellence.